Electronic music isn’t just for dancing, although there’s plenty of dance music included in our year-end list. 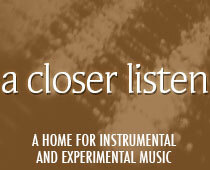 The list also includes childlike lullabies, dense sonic fuzz, and smooth, languid excursions. The eclectic selection below represents a cross-section of our tastes.